With winsome and attractive features, Grand Park is a hotel that is an ideal hotel to have a grand stay without spending too much. 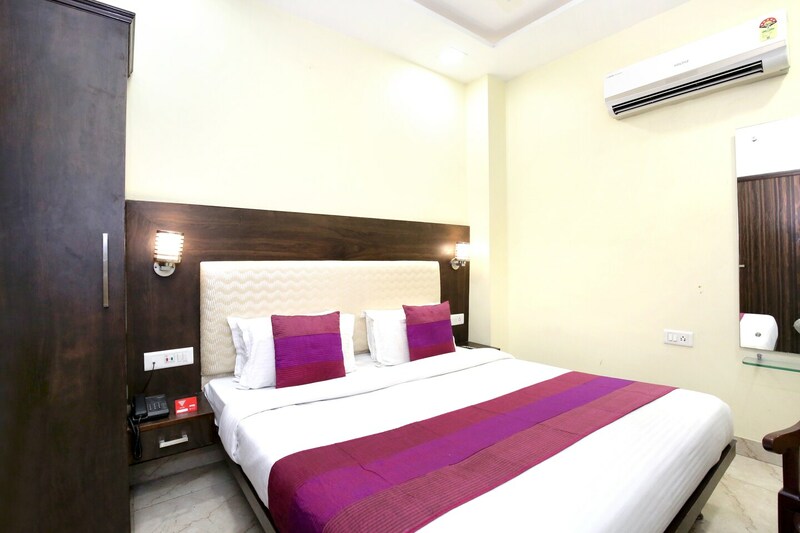 The reception with appealing woodwork on the walls and on reception desk, and a framed picture adorning the walls, gives you a warm and pleasant stay. The rooms have majestic and beguiling interiors with beautiful upholstery on the headboards of the beds, pretty lamps, large windows covered by dual coloured curtains and bright cushions which fill liveliness in the rooms. They are fully furnished with essential amenities and are clean and well-lit. The hotel is also equipped with laundry service.